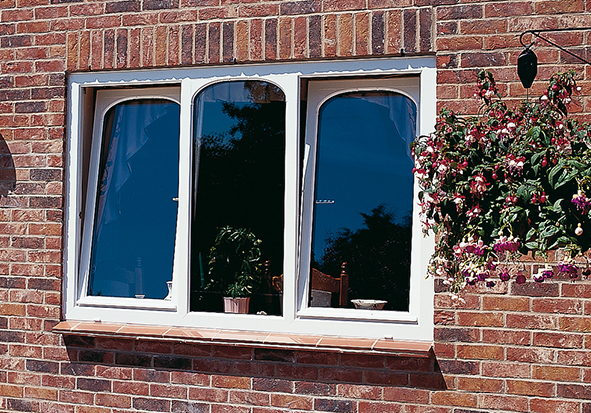 uPVC tilt and turn windows offer a practical option for homeowners, commercial properties and high rise buildings. Tilt and turn windows have two functions which are operated with the one handle. The tilt function opens the window inwards to offer ventilation with out the whole window having to be opened. The turn function enables the window to become side opening and fully opens inwards. This function makes it easier to clean the window from the inside and can also be used as an alternative emergency escape. 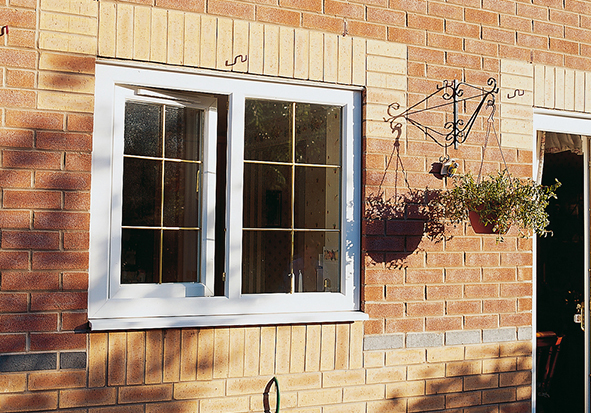 These windows can be manufactured bigger than your traditional casement side opener. 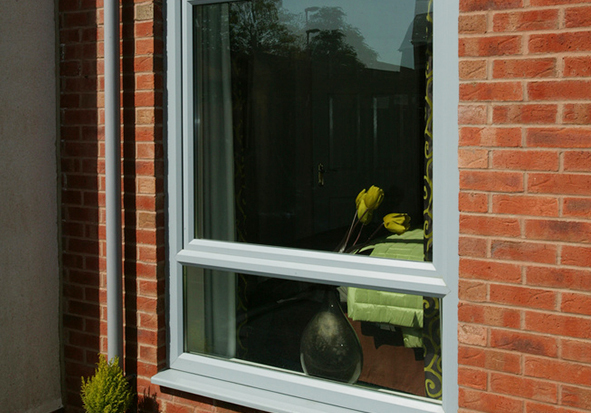 As well as being easy to use our tilt and turn windows are also fabricated to be simple to fit, saving you time on site. Your customers will love this stylish, easy to clean window that is safe at height and ideal where the outside space is limited. 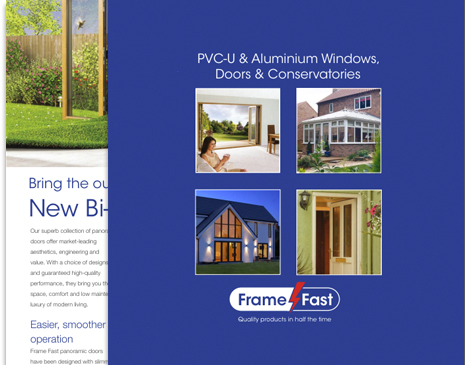 There is a wide choice of colours for our uPVC tilt and turn windows including the Architectural range of metallic finishes and premium woodgrains. For commercial properties we offer a selection of greys in wood grain and smooth foil finishes. 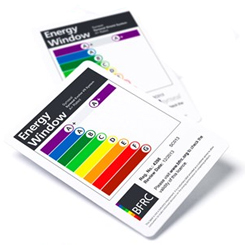 Frame Fast trade windows are A window energy ratings with cost effective double glazed glass units. 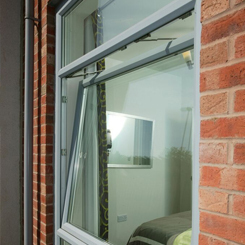 Our tilt and turn windows can be specified with triple glazing to achieve an industry leading A+14 energy rating and U-value as low as 0.8 W/m2K, as well as improving noise reduction. Our stylish handles for tilt and turn windows are available in a choice of colours and finishes including Black, Brown, Silver, White, Smokey Chrome, Polished Chrome and Satin Chrome. 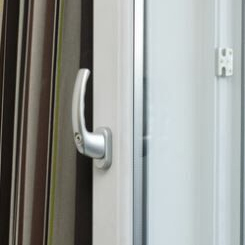 High security is achieved by using a high quality integrated gearing mechanism on our uPVC tilt and turn windows. This protects the windows from opportunistic burglars and meets the requirements of Document Q Building Regulation Guidelines for new build houses and extensions.